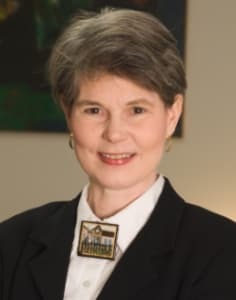 Patricia McDougall-Covin is the William L. Haeberle Professor of Entrepreneurship and the Director of the Institute for International Business at Indiana University’s Kelley School of Business. Dr. McDougall is an AIB Fellow, a 21st Century Entrepreneurship Research Fellow, past Vice-President-Programs for the Academy of International Business and past Entrepreneurship Division Chair in the Academy of Management. She earned her doctorate in strategic management from the University of South Carolina. She and her frequent co-author, Benjamin Oviatt, are widely credited with pioneering the growing field of international entrepreneurship. Her first published article on international entrepreneurship appeared in 1989 in the Journal of Business Venturing. She and Ben were presented the JIBS Decade Award for their 1994 article on the early internationalization of new ventures. Dr. McDougall-Covin has received several teaching and research recognitions, including Indiana University’s Trustees’ Teaching Excellence Recognition Award and the Kelley School’s Full Professor Research Excellence Award. She has co-edited four books and published numerous articles which appear in a variety of academic and professional journals, including JIBS, AMJ, JBV, ETP, SMJ, MIR, EMR and JOM. She is a current or former member of ten editorial boards. Her business teaching cases appear in more than twenty-five leading textbooks, and her research has been presented in the business press, including Inc. magazine, USA Today, and The Wall Street Journal. As Director of the Institute for International Business, she is responsible for numerous global engagement activities. Some current projects include: a USAID funded project to strengthen entrepreneurial activities in Myanmar; a partnership with the Asia Pacific World Economic Council (APEC), which teaches women entrepreneurs in developing countries how to start and sustain their own micro-ventures; and the Global Business Institute, an entrepreneurship program for students from across the Middle East and Northern Africa.